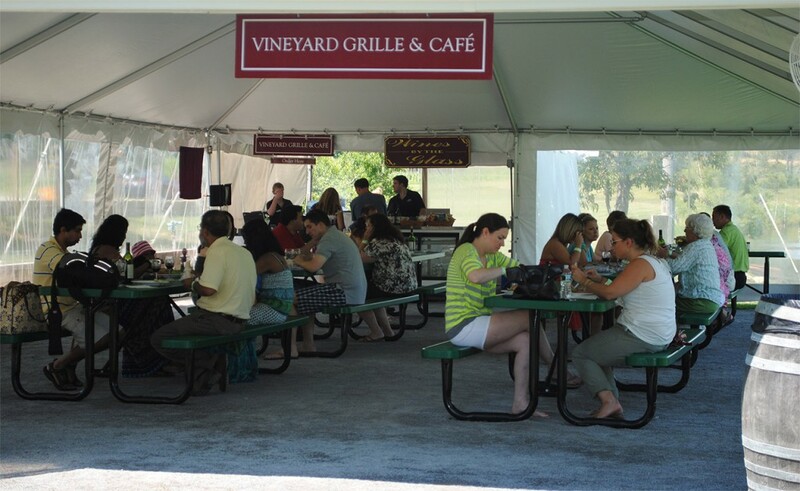 Join us at our Vineyard Grille for simple grilled fare prepared by one of the area’s leading gourmet shops and catering companies, Slammin Salmon. Relax in the tranquil setting of our café and enjoy lunch with a glass of Millbrook wine. Lunch items will feature grilled sandwiches, salads and sweets, with wine by the glass, coffee and assorted beverages available. Seating under the Grille tent is on a first come, first served basis. We cannot reserve tables in advance. Grille tent seating is for Grille customers only. A Selection of Millbrook Wines will be available by the bottle and glass.